Jefferson Texas Vacation Rental Blog. News,Events, and Fun. With water temperatures rising into the mid-60’s the Crappie, Bass and Catfish fishing is outstanding on Lake O the Pines in Texas. Crappie fishing is on fire all over the lake and the fish are in full spawn mode. Depending on where you are on the lake, C rappie can be found from 12 feet of water down to 1 foot of water. Lots of fish are being caught on Hurricane Creek North of the 729 bridge. Several boats were catching fish by drifting or trolling in the 12 foot to 5 foot water depths. I fished last week in this area and found that the Crappie are biting better on jigs than they are on minnows. I caught most of my fish on a road runner chartreuse jig head with a Bonehead 3-inch slim stick. Reports from other Crappie fishermen indicate that lots of fish are being caught in the North end of the lake past the 155 bridge in 4 feet of water. I have also caught several Crappie using the jig under a float at some of the creek channels and cuts in the North side of the lake. Black Bass are good in shallow water all over the lake. Reports indicate that the best Bass fishing is North of 155 in shallow water around stumps and structure. Shaky Headed worms seem to be the most productive but some fish are being caught on buzz baits and medium diving crank baits. 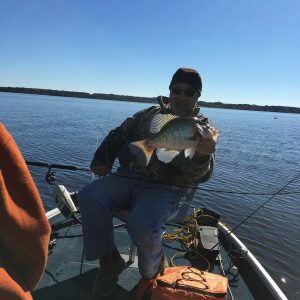 There have been several Bass Tournaments on Lake O’ the Pines over the last 5 weeks and many good fish have been weighed in. I have not seen any fish on beds, but the spawn should start soon if it has not already. Catfish are good almost anywhere. Fishing with stink bait under the bridges always produces some catfish this time of the year. I have also caught several fish off of my dock with minnows, however live works seem to be their favorite. This is a great time of the year to fish Lake O’ the Pines. If you need a place to stay check out our lakehouse vacation rental at https://lakeothepinesvacationrental.com. We also rent kayaks, paddleboards and a small Tracker Jon Boat. Find out more at https://lakeothepinesboatrental.com. Come See us and Great Fishing to you! This Report is courtesy of Pine Cove Cabin on Lake O’ the Pines near Jefferson, Texas. Lake O’ the Pines Record Crappie? After a wet and flooded year last year, Lake O’ the Pine near Jefferson, TX promises to have an outstanding Crappie season this fall and winter. The lake was flooded from January of 2015 until July 4th weekend in 2016, making it almost impossible to get on the lake, much less fish for Crappie. Now that the lake has dried out and cooler temperature have arrived, the Crappie bite is picking up. The deep water fishing this winter should be very good. As of this writing, Crappie are transitioning from 18 to 20 foot to 10 to 12. Lots of fish are being caught on brush piles in 18 foot of water on jigs and minnows. Chartreuse Roadrunners with Chartreuse Bobby Garland jug bodies are getting the most bites. Fish are also being caught under the bridges at a depth of 12 to 14 feet. 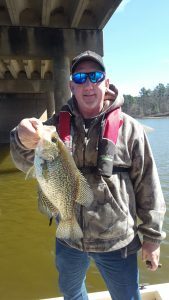 There have been some reports of Crappie being caught in open water off the points as well. Bass are biting in shallow water on plastic worms and on medium diving crank baits. Smaller bass are in the shallows right before sunset feeding on shad. Catfish are still on a good bite almost everywhere on the lake. Worms seem to be their favorite food. Sand Bass are biting in the evening close to shore as well. Winter Crappie fishing should be good this year. They should move to 30 to 40 feet of water in late November and stay there until March. My experience is that the bite is the best in December and January but tails off some in February because of the heave fishing pressure. Texas Parks and Wildlife require that you keep every fish in December, January and February. The fish are so deep that when they are brought to the surface, they will not survive. A small Crappie scaled and fried is pretty good eating. During the winter the best time to fish in during the week. On the weekends and Holidays there will be a lot of boats on the water. On December 26th 2014, I counted 96 boats fishing for Crappie. If you love Crappie then winter is the time of year to go. It may be cold, but on almost any day, you can catch a limit. If you want to stay on Lake O’ the Pines, contact us here at Pine Cove Cabin. Located just a few minutes from the prime Crappie holes, you can be in your boat and fishing in less than 10 minutes. If this old adage is true, May should be an awesome month for flowers at Lake O’ the Pines! Already the wildflowers are blooming along the highways and byways! May will be a great month to enjoy the springtime in East Texas! The first weekend will be busy with the Jefferson Annual Pilgrimage, the Naval Battle of Port Jefferson and the Great Locomotive Chase, Civil War living history and Battle of Jefferson day. Sorry, Pine Cove Cabin is already booked! And remember, Mother’s day is May 10 – sorry again, but Pine Cove Cabin is booked! You could make plans to be here next year though! Never fear, there is still plenty to do around here later in May! Jefferson Train Days are May 16 & 17, and the Jefferson flea market is that weekend also. The flea market gets bigger every month; you never know what you will find! May 16 is the Fishers of Men Bass Tournament at Lake O’ the Pines. Registration is at the Sandy Beach park. Memorial Day is the last weekend of the month! Pine Cove Cabin is available – book now for a nice long weekend at the lake! 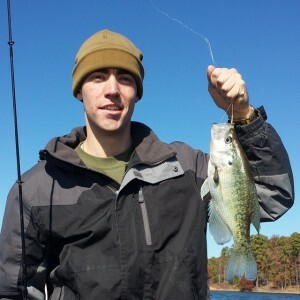 The fishing report is good for bass and crappie, and the lake will be warm enough for swimming and other water sports! Come start your unforgettable summer at Pine Cove Cabin! March is Hopping with Happenings in Jefferson Texas! Spring is just around the corner!! So is Spring Break for many of you!!! Make your plans now to enjoy March in Jefferson, TX!! It is going to be another busy month over here in the Piney Woods of East Texas! Do you ride a motorcycle and like to take weekend rides? The famous Route 49 Biker Rally is the weekend of March 20th – 22nd. There will be lots of cool bikes and bikers, live music, and great food all weekend! There is also a gun and knife show that same weekend! Or do you like to peruse flea markets? Looking for that item to do a flea market flip? Or need to sell your stuff? Jefferson’s Flea Market is twice this month – the 6th-8th and again the 20th – 22nd! Lucky you! Are you into trains? The Historic Jefferson Railway will run a Fright Train on Friday the 13th with ghost stories before the ride, and a St. Patrick’s Day run on the 14th, complete with green punch and a free gift! The train runs through the Big Cypress Bayou. You can also check out the new alligator pit! How about live entertainment? Dakota Lawrence, Clairvoyant Medium, will be at the Corkyard Restaurant on March 14th at 4 p.m. And there will be live theater by the Jefferson Opera House Theatre Players– the play “Exit Laughing” will run the weekend of March 26-28th. And out on Lake O’ the Pines (just 10 minutes from Jefferson and out the back door of Pine Cove Cabin) the water will be hopping with crappie, bass, catfish, and brim just waiting to be caught! Come celebrate Spring your way and enjoy the events in Jefferson Texas in March – and you know where to stay! Pine Cove Cabin! Check out our weekend and weekly rates. 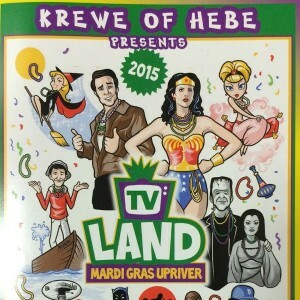 It’s Mardi Gras time!!! Jefferson Texas has one of the best Mardi Gras celebrations this side of New Orleans. Come to Jefferson on February 6, 7 & 8 for three days of fun, food, music and good times!! However, you will have to find somewhere else to stay – Pine Cove Cabin is already booked!! There are a few rooms available in Jefferson. You can find out last minute availability on the Marion County Chamber Website. Valentine’s Day weekend (13 & 14) is still available!! Call or go online at https://lakeothepinesvacationrental.com and book the most romantic cabin on Lake O’ the Pines! With a real wood-burning fireplace, full kitchen, and gorgeous lake views, it is sure to be a wonderful time with your special someone! We can add flowers and champagne to welcome you for an additional $60! For those of you who enjoy the hunt for a great bargain, Jefferson’s Flea Market is February 6, 7, 8 and 20, 21 and 22. Local vendors bring interesting new finds each time. In addition, check out downtown Jefferson’s variety of antique shops, a general store, and specialty stores. You will find everything from casual ladies’ clothes to one-of-a-kind antiques to hand-made local fudge. Don’t miss the Blackburn’s syrup and spreads outlet store. You are sure to find a great bargain! And fishermen – it’s still prime Crappie fishing time!! Pine Cove Cabin is located on the same street as the Holiday Harbor boat launch, and a marina is just across the cove. You have to keep all fish taken in the deep water up to your daily limit until the end of the month. Come out and get catching!! And it’s not too soon to book for March – Spring break is just around the corner!! And the Route 49 Biker Rally is the weekend of March 20, 21 & 22. Just two hours from the Dallas area, Jefferson and Lake O’ the Pines are a world away and a way to relax, unwind and discover anotherbeautiful part of Texas. Just for January – Rates are as low as $99 per night! It’s a great place to stay on Lake O’ the Pines near Jefferson, Texas! Go to https://lakeothepinesvacationrental.com/ to check availability. There is plenty to do at Lake O’ the Pines and Jefferson, Texas in January! Crappie fishing is hot! Limits are being caught daily in the deep water just 5 minutes from the cabin. Plus Pine Cove Cabin is located just down the street from the Holiday Harbor boat launch! Jefferson hosts a quilt show January 23-25 that showcases amazing quilts from around the country. 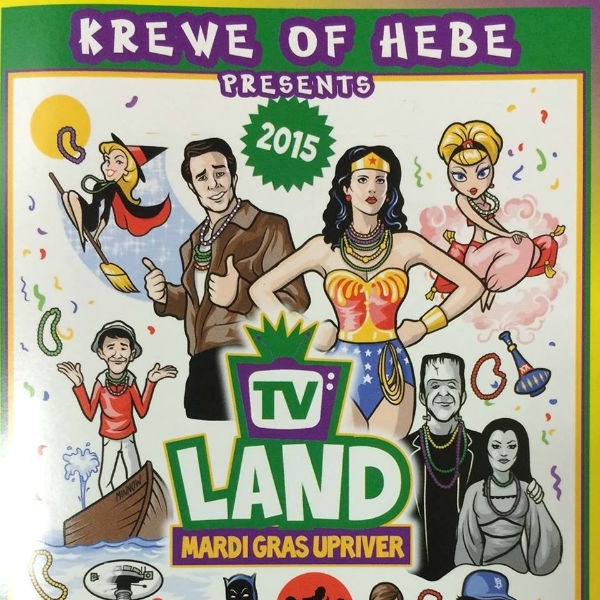 This year’s theme is “Quilts on the Bayou”. The quilt show is celebrating their 12th year. Check out the details at http://www.jeffersonquiltshow.com/. Plus, the antique and unique stores in Jefferson have plenty of treasures to be found! Stop by Big Cypress, Roy’s Rails, and Fashion & Art Revival as you wander around. Dine out for breakfast, lunch or dinner with many choices – from BBQ to white table cloth – the Corkyard, the Bistro, Bayou Bakery, and more – they are all good! Be sure to check out the Jefferson General Store for a trip back in time! Find out more at the Marion County Chamber of Commerce website. Shreveport is just an hour away – live music, shows, shopping and gambling keep the winter nights wonderful! Marshall and Longview are also nearby with history, dining and shopping to explore. Or, just kick back and snuggle by the wood burning fireplace with a cup of hot chocolate at Pine Cove Cabin and enjoy the view of Lake O’ the Pines (If you want a ‘little something’ in your hot chocolate, stop by Cooter’s). There’s an HD flat screen TV for movies, a full kitchen for making popcorn or other treats, and good beds for that long winter’s nap. Plan your visit to Jefferson, Texas and Lake O’ the Pines today! After the spawn, when the weather gets hot, Crappie will scatter all over the lake and settle in to their summer pattern. Although the lake is full of fish, they can be difficult to find. In October , when the lake temperature starts to drop, the fish start moving into the creek channels and drop offs waiting to move to deeper water. Once December arrives, Crappie have moved into the deep water and set up a holding pattern until the water starts to warm in the Spring. Lake O’ the Pines is deepest at the Southeast end by the damn, and that is where you will find a huge concentration of Crappie and Crappie Fisherman. The Crappie will be in 25 to 40 feet of water between Johnson Creek and the damn. When the weather is good you will not have a problem finding the fish. Just look fro the boats…where there are boats, there are Crappie. On December 26th 2014 I counted 96 boats fishing for Crappie, and all were catching fish. During December and January Crappie will bite minnows and jigs alike. I have found that the white curly tail bodies on a road runner work well although they will bite almost any jig you present. Some fisherman will fish with a pole in each hand and slowly troll over the deep water. I prefer watch the fish finder, then anchor up when I see a concentration of fish. I will fish with both minnows and jigs at the same time. Most of the Crappie caught are nice sized fish measuring in the 13 to 15 inch range. Texas Parks and Wildlife rules for Lake O’ the Pines requires you to keep every fish you catch regardless of size since they are coming up from deep water. The limit is 25. If you love to Crappie Fish you need to come to the lake in the Winter. Pine Cove Cabin is located right on Lake O’ the Pines and is a great place to stay if you want to fish or just enjoy a weekend getaway. Jefferson Texas is only 10 minutes away so bring your wife and you both will have a weekend to remember.